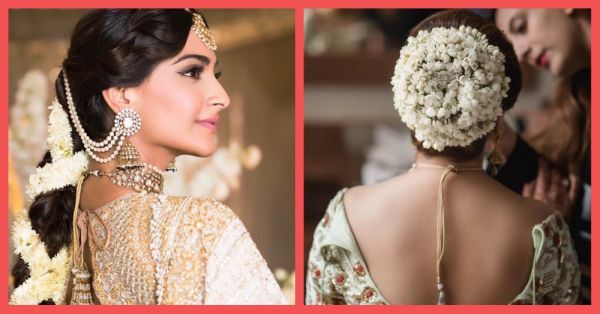 14 Beautiful Ways To Style The Traditional Gajra On Your Wedding Day! Baby's-breath might be all the rage this season but a traditional gajra never loses its charm. 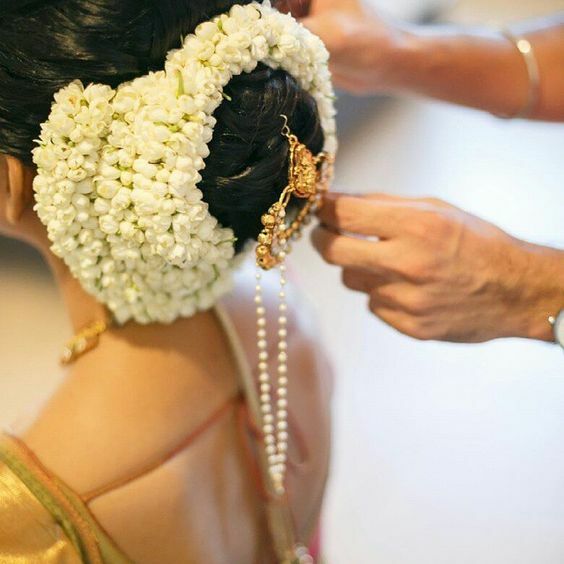 Our mom's wore it at their wedding and the mogra flowers still make for a pretty hair accessory that also smells fabulous. However, you might want to style it differently so as not to look too old school. From criss-cross gajras to gajra chaadar, here are the 14 amazing ways to style your gajra. Who better than the style godess to inspire your wedding hairdo. 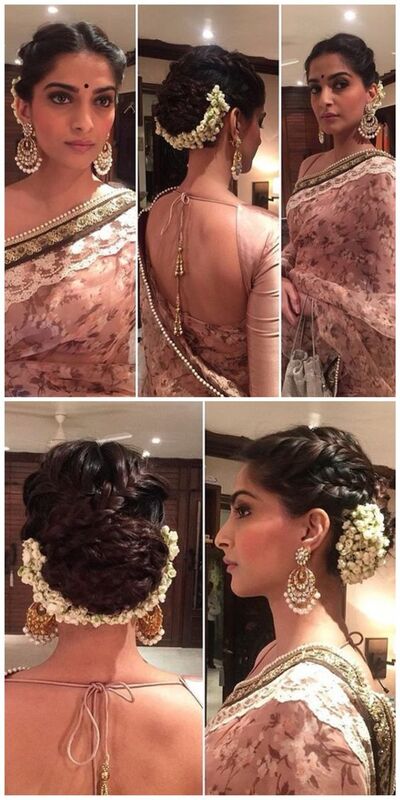 Sonam Kapoor opted for a simple gajra on her sangeet night, only that it did not really look that regular! Intertwine the gajra strand with your plait for a criss-cross style that's sure to grab eyeballs. Gold toned gajras are a thing and we sure love them! If you're okay to swap the fresh flowers with an artificial but super stylish gajra, then go for this. A gold gajra will complement your red lehenga oh-so-well! Just like your hair, you can wear your gajra down too. An elegant style that never goes out of fashion. Find mogras too common and monotonous? Try the marigold gajras instead. They look as gorgeous as the white ones, and it goes with every traditional outfit of your choice. For brides who like it elaborate, go for these multiple strings of gajra which add the perfect volume to your hair bun and makes it look wedding ready. How beautiful is this half moon gajra on a braided bun. First off, we love the elaborate braids and the gajra just adds all the charm to this look. 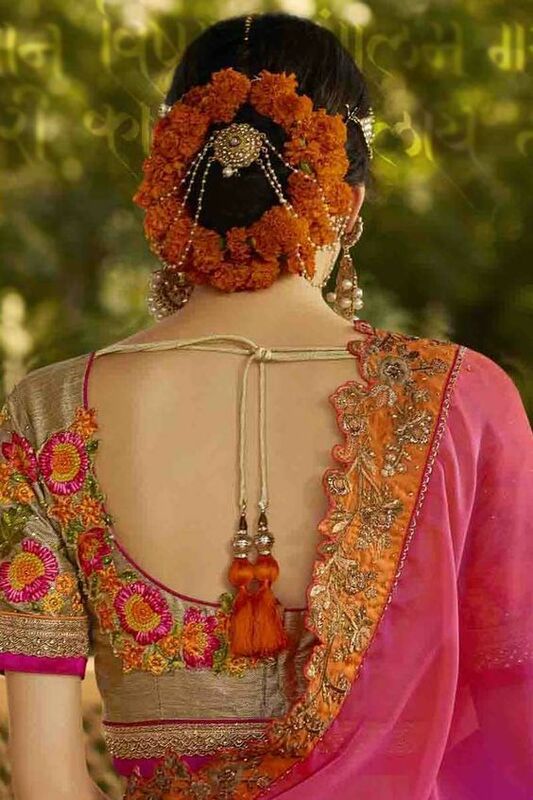 A great style to go with your saree on the reception night or even with your lehenga on the sangeet evening. We are so done with hair clips. Time to say hello to gajra hair pins. If you are planning to wear your hair down, pin up these beauftiful gajras as a floral hair clip that will go perfect with your loop curls. If you don't want to experiment with your gajra then you can opt for the single string around your bun to add that touch of tradition and elegance. Now who would've thought of this! Side braids are anyway big this wedding season. All you need to do is pin up some gajra strings, just like Sonam did, to uplift this simple hairdo. 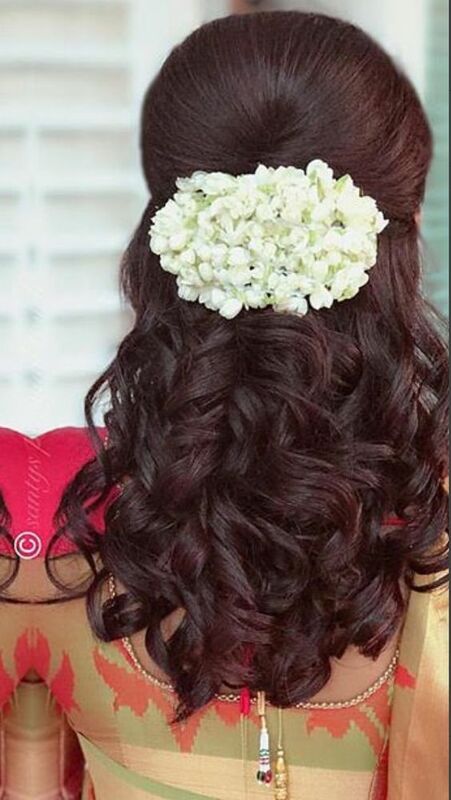 Ditch the messy braid for the mehendi function and opt for this instead. Twirl, twirl and some more twirl. How about twisting and twirling a gajra on your messy pony or braid? 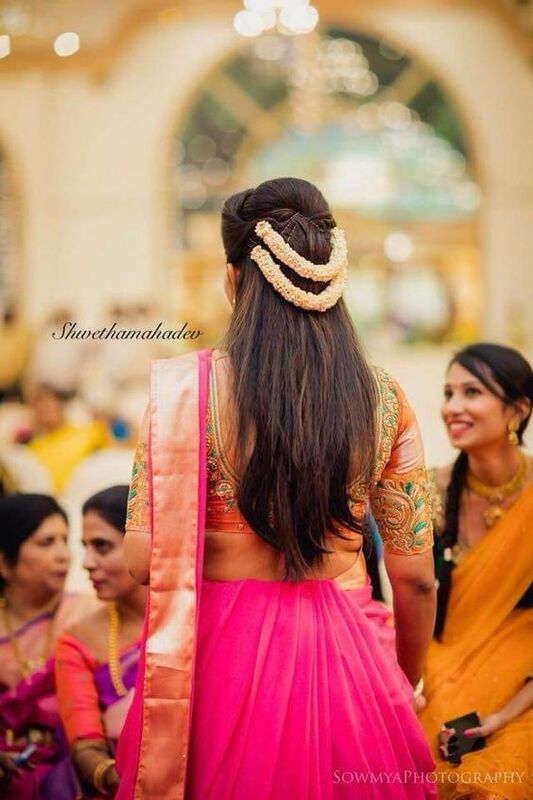 While most brides opt for single flowers to deck up their braid, you can stand out by twirling a gajra around it. The most elegant gajra style that always looks gorgeous and will never go out of style. It doesn't require much of styling and is a complete fuss free look to go for. Only hair buns need a gajra, says who? If you are the kinds who like to flaunt their long tresses and wish to leave your hair loose, hang in two strings of ganjra and let it do all the talking. No hair accessories or jewels needed. 13. 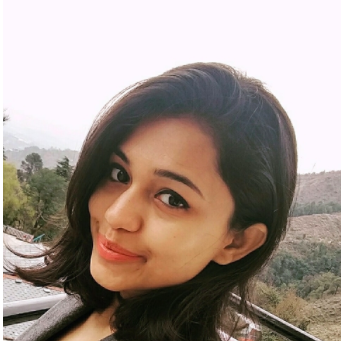 Heard of gajra chaadar? You have seen phoolon ki chaadar, but a gajra chaadar? Doesn't this gajra chaadar look amazing? Now that's something we are totally gushing on! A brand new trend that the 2018 bride's got to try. Well, who needs a veil when you can do up your hair in beautiful colours?! Layer the white gajra with other flowers to complement your outfit and there you have it, a gorgeous hairdo and an Insta-worthy picture! POPxo’s first-ever webseries ‘Unmarried’ has launched. Binge watch all episodes on the POPxo app. Click here to download now!